The importance of strong teachers is no secret. Most would agree teachers are the most crucial factor for student success. Actually, teachers’ experience matters for each and every one invested in sustaining a democratic and healthy society. This is where EduAction comes into the picture as Sweden’s first education incubator. It puts education in action by curating a ground zero for inclusive solutions. EduAction is the toolbox for designing the future of school, making teachers drivers in linking school to society at large. Each school faces unique challenges. EduAction responds to them by opening a physical and virtual space for various competences to meet and engage in a case by case learning experience. EduAction works to combine knowledge from schools’ inside with inspiration from the outside by the discovery and sharing of tools. 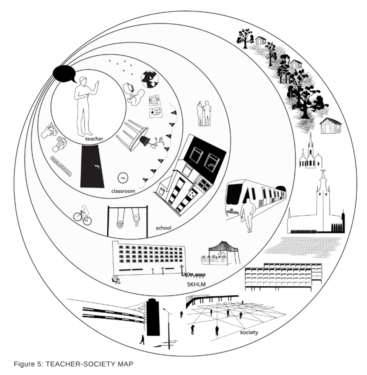 Each tool is a trigger for teacher-driven change – a growing network for school as the body where society starts.